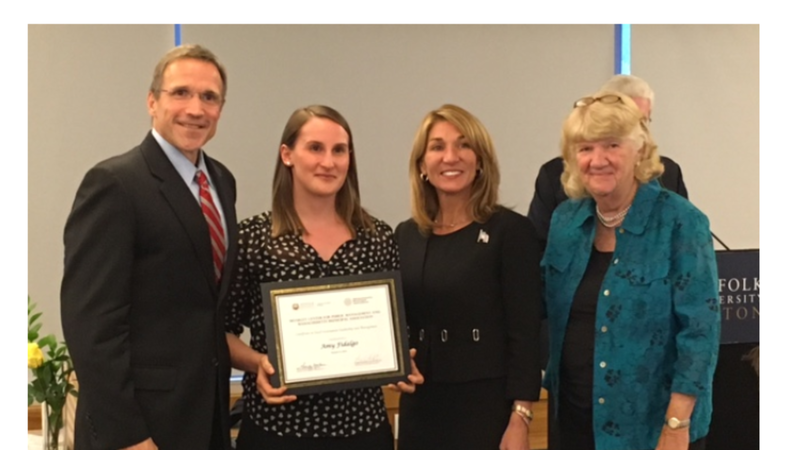 ARLINGTON, MA-The Town of Arlington is pleased to announce that two employees have recently earned a Certificate in Local Government Leadership and Management from Suffolk University’s Moakley Center for Public Management. 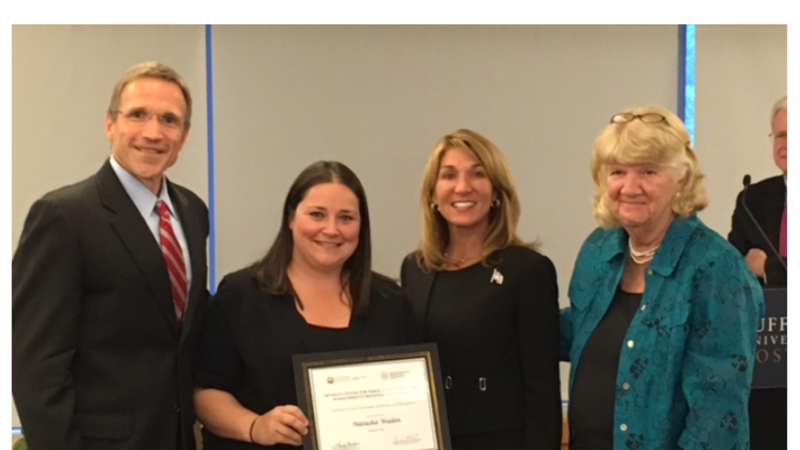 Amy Fidalgo, Management Analyst from the Town Manager’s Office and Natasha Waden, Lead Health Compliance Officer for the Health Department recently completed over 150 hours of coursework to earn the certificate. The certificate in Local Government Leadership and Management is a graduate level academic program that provides participants with a solid foundation in public management. The program links contemporary public management theory with real world practice. Arlington, as a member of the Massachusetts Municipal Association partnered with Suffolk University and the Moakley Center for Public Management to provide scholarships to two municipal employees who expressed interest in pursuing a leadership position in local government. This program provided course work in leadership and decision making, human resource management, administrative strategies of local government, budgeting and financial management, public policy, municipal law, and civic engagement. Both employees completed five graduate level courses between September 2015 and May 2016 and have plans to pursue a Masters in Public Administration through Suffolk University in the fall.